There can surely be a no more respected artist within the Americana music industry than Patty Griffin. Whether it’s for her song writing acumen, striking vocals or strong musical production, Patty is always in demand as well as being the curator of an ever increasing impressive back catalogue. The latest in her long line of album releases is the critically acclaimed SERVANT OF LOVE which wooed many a critic in the latter part of last year. The good news for Patty Griffin fans is that she has wasted little time in including the UK on the album promotional tour and has formed each show with a full band complement. A large turnout in the main room of Birmingham’s Glee Club greeted Patty who last played the venue a couple of years ago in a more stripped down duo format. Upon commencing her set almost exactly on the stroke of nine, Patty quickly hit her stride with the audience enthusiastically applauding each song of which many were unsurprisingly lifted from the latest album. It’s an honest admission but this record took a few listens to find its inner quality especially as the moody title track is more suited to a mid-album position rather than its opening spot. However the magnitude of the song was eventually grasped and its brilliance sealed this evening as Patty served up a stunning piano version mid set. Having strongly thought that ‘Servant of Love’ couldn’t be topped there was a twist in the latter stages when other track from the album mightily impressed in ‘Shine a Different Way’. This song saw Patty switch to mandolin and this exemplified the diversity displayed by her three piece backing band during the show. It is tough to argue against David Pulkingham being the prime musician on stage whether plying his trade on acoustic or electric guitar. He particularly impressed on the latter especially when finding divine notes to garnish some of Patty’s gentler songs. The more versatile Billy Harvey flitted between bass guitar, keys and piano with Patty also hailing his own solo material as worth checking out. Conrad Choucroun completed the line-up predominately on drums split by a short interlude on mandolin with Patty commenting that it was rare for her to tour with a drummer these days. This proved to be one of the many privileges enjoyed on an evening which started off on the perfect note. The decision to add Frankie Lee to the bill on this tour was a master stroke on the back of the excellent album AMERICAN DREAMER he released in the UK towards the end of last year. If SERVANT OF LOVE took a few listens to grasp then Frankie’s debut release took barely one track or even just the first couple of bars to the opening song ‘High and Dry’. Although funds haven’t been sufficiently accumulated to tour with a band yet, Frankie makes a cracking job of delivering the songs in an acoustic solo format with the aforementioned track being the case of saving the best to last. Most of Frankie’s forty minutes on stage was devoted to songs from the album with the specific highlights in no particular order being ‘Queen of Carolina’, ‘East Side Blues’, ‘Honest Man’ and the record’s title track. 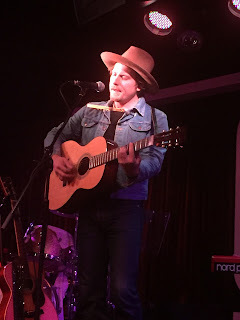 The live versions confirmed the combined simplicity and sincerity of Frankie’s lyrical composition and song structure, announcing his arrival on the UK‘s Americana scene. Certainly playing to a decent gathering around the country on this Patty support tour will do his promotion no harm. Patty was forthcoming in praising Frankie’s work as she continued to entertain the faithful with more songs from the latest album and some older favourites. The most popular of these from an audience reaction was the pre-encore closer ‘Truth No.2’. The abiding memory of this song was wondering if the Dixie Chicks will play their version of this Patty penned classic when they visit Birmingham in April. As you would expect, Patty wasn’t short on succinct quips between songs including commenting on being delighted to return to a part of the UK which knows well. She also introduced one of the best songs from the AMERICAN KID album ‘Ohio’ by informing the audience of its reference to the role underground railroads played in freeing slaves during the Civil War. Another pleasing song from the set was Patty sharing her writing contribution to a gospel album she recorded a few years ago following encouragement from the great Mavis Staples. ‘Coming Home to Me’ was the named song and it was rather good. The encore came too quickly and Patty chose to end the evening with a pair of interesting songs away from her extensive back catalogue. Taking a liberal license to dabble in the Spanish language is something Patty has earned the right to experiment in and her take on a Mexican Revolution number ‘Caminito’ was impressive. This left just one final dose of indulgence with Patty wrapping her vocal chops around the Jimmy Durante standard ‘Glory of Love’. 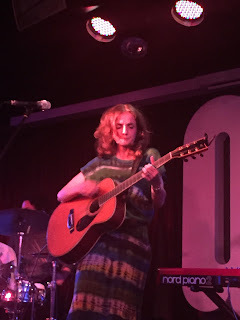 This capped a memorable evening which fully justified Patty Griffin adding Birmingham to her tour schedule and reminding many why she is such a highly regarded artist, specifically in the Americana sector but also in the wider music community.